This post was written by Drew, per my request for him to document the garden happenings. 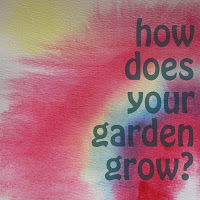 Add your recent garden update link, please. 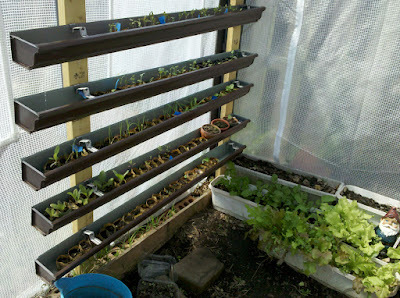 This is the first year so far that we have ever been able to have seedlings grow well. Particularly Tomato seedlings, and like all gardener’s, they are really the pride and joy of the summer crop, so to pull of starting from seeds is a big deal. We took last year’s grow light and, after much research, moved it down; way down to about 2″ from the top of the pots. 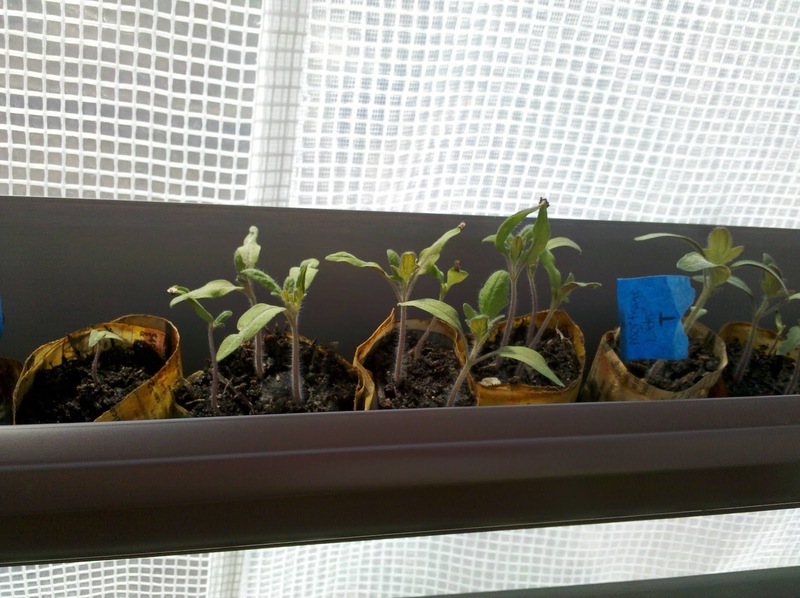 We also kept the seeds covered with plastic until the seedlings sprouted up, when it was possible. The light is on a timer that runs from 4am to 8:30pm which, when they were started, was way more light than what we had in a day. Thanks to longer days, we are starting to catch up to that now. We didn’t use the starter peat moss stuff. 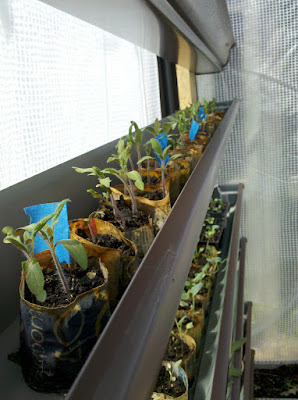 This time we just used organic potting soil and newspaper pots that a friend made for us. Once the first signs of the secondary leaves began to sprout I gave them a dose of organic fertilizer. It stinks really bad but seems to work pretty well. 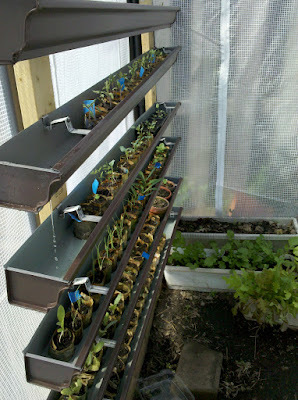 This is the step I am a little uncertain of: we moved them out to the green house. The thing is that we don’t heat it so if the temp. drops out there all the seedlings are going to freeze. We keep a close eye on the weather forecast & so far, so good. With the temps we have been having everything is loving it out there. Now we just need to make sure to vent when it gets real warm–the other day it was 120 in there and nice and humid–perhaps a smidge too warm. Our handy ‘gutter’ system allows us (kids included–they generally fight over the chore) to pour compost tea in the top tray and it trickles down to all the plants and then back in the bucket to be used again. 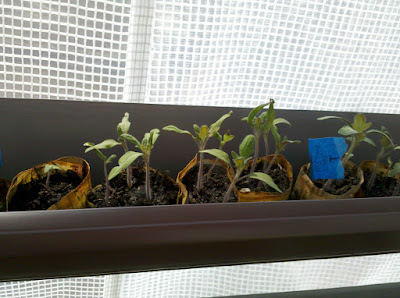 We’ve got peppers and tomatillo seeds started. Last year we tried the minimally successful method of stacking boxes with the potatoes, this year we’re trying the old fashioned method of growing the potatoes in the ground and some are now poking up through the straw–very exciting; plus, there’s less lawn to mow!